Capri, and the first Barclays 52 Super Series regatta of the season, marked the first sale of an existing TP52 to an enthusiastic, passionate owner who is looking to step up his team’s performance for the 2015 circuit. Renowned French owner Jean Luc Petithuguenin agreed the purchase of the Vrolijk-designed current world champion boat Rán Racing, confirming that his Paprec Recyclage team are ready to write the next chapter of their 52 Super Series campaign armed with one of the best prepared and most competitive modern generation TP52’s. “It is really one of the things we wanted to achieve when we decided to build a new boat for next year, to sell the existing boats into the fleet. This is really good but it is also really good to see Paprec which has been getting better and better with an older boat ready to have a boat which they will be able to improve more and more with. 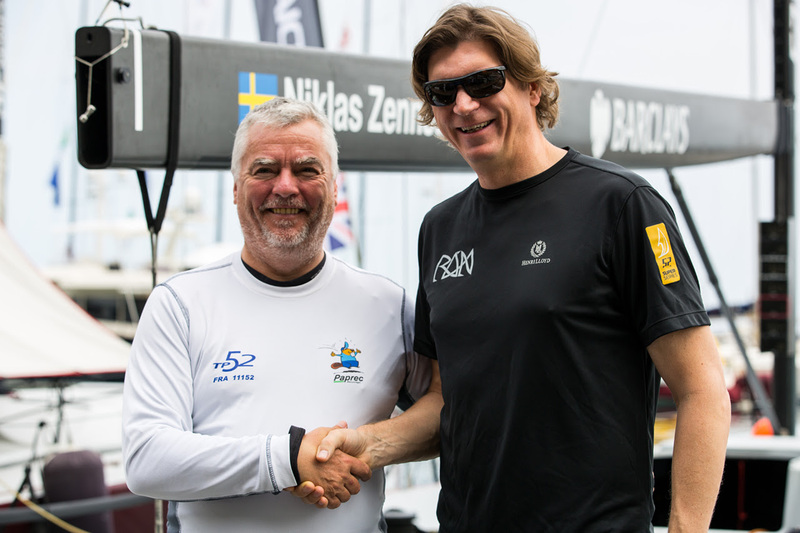 What we saw in Capri at times was the oldest boat leading the fleet at times, and so while there should be a little bit of an edge with a new boat next season, the older 2011 and 2012 boats should still be as competitive,” Zennström said. It is understood that five new build TP52s are already signed up with designers and builders for next season, or are in the throes of being signed up. The split between the Botin Partners and Judel Vrolijk design offices – which have been the most active and successful in the 52 Class history – remains very close to 50-50. “If we are seeing five new boats signed up or being signed up at the moment in June, and normally that activity takes place in August or September, I don’t think it is unrealistic to think about the possibility of ten new boats and a fleet of 12 for the 2015 52 Super Series," said Class Manager Rob Weiland (NED). "That in itself is exciting but it is also a considerable tribute to the owners who have supported and embraced the changes we have made in recent years to keep developing the TP52, especially the three owners who have underpinned and driven the 52 Super Series forwards. It is gratifying then to see Phoenix, the newest TP52 racing, looking so thoroughly up to date, what you would expect to see as representative of the modern grand prix monohull which clearly owners and crews want to go racing with.” Weiland added. “As a design office we are trying to get as many new boats on the water as possible for next year and so far we have some very positive reactions from existing clients and at the same time we are also speaking with new people who want to come into the class," said Designer Rolf Vrolijk (GER), who was in Capri speaking to existing and potential future clients. "From what we hear and from the other teams it sounds very positive. It looks like there will be a very good group of boats next year. Realistically we hope to have at least three to four new boats for next season,” Vrolijk added.